The saying goes that in San Antonio "the Spanish brought the party, the Germans brought the law". 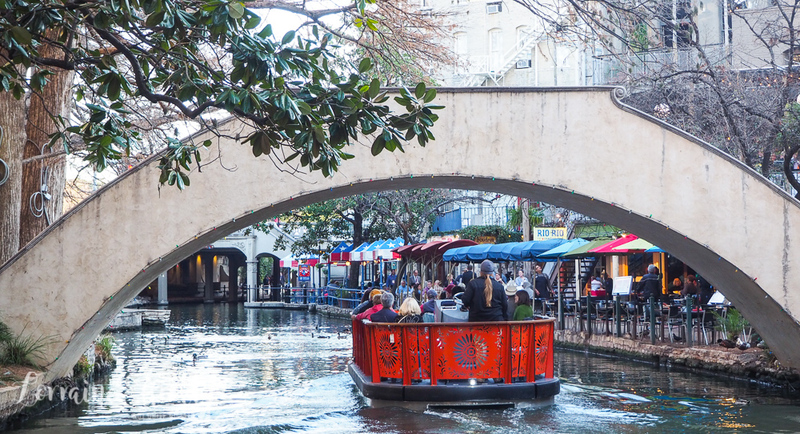 San Antonio is a melting post of various cultures that reflects the city's history. There are strong Mexican and German influences in San Antonio as well as Spanish architecture. 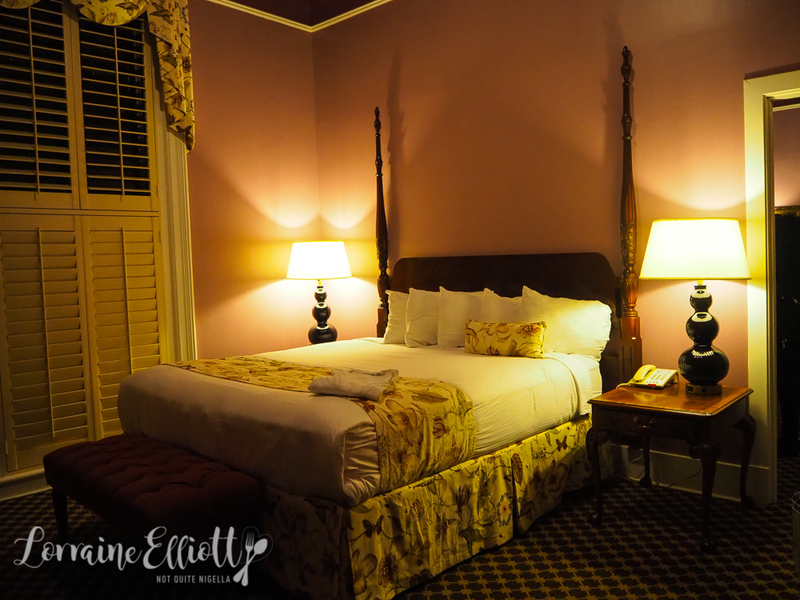 Here is a delicious and quirky 48 hour itinerary for San Antonio! 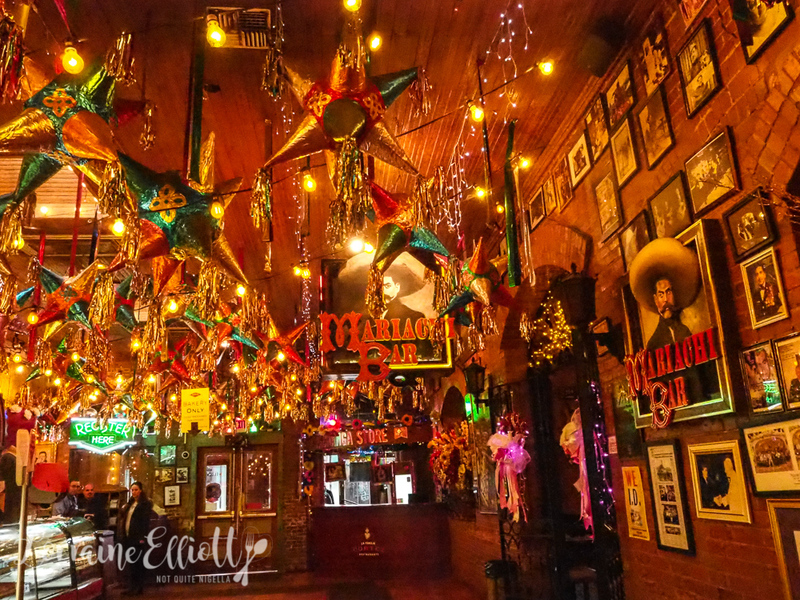 You can't visit San Antonio and not try Tex Mex food and anyone looking for a splash of vivid colour at any time of the day should stop by at Mi Tierra. You can literally come by at any time as they are open for 24 hours. The food served is classic Tex Mex. 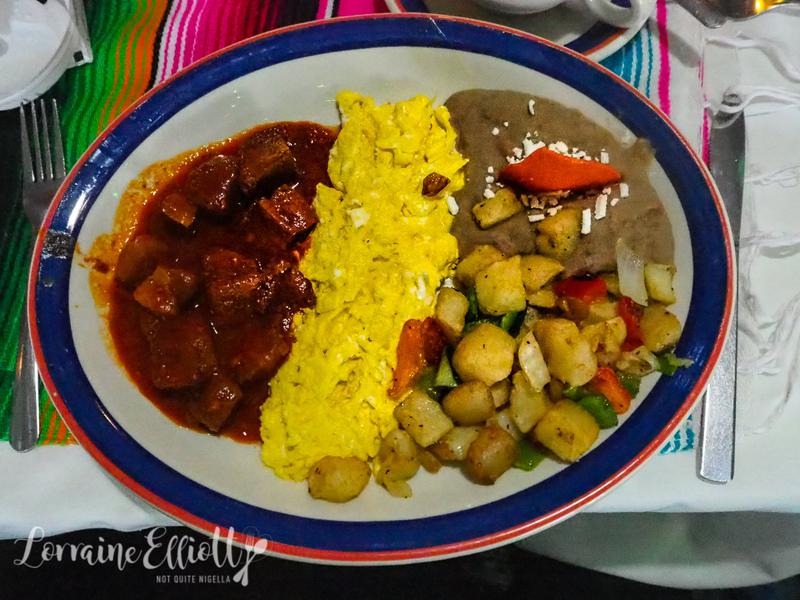 The pork tips with red sauce in the Mi Tierra breakfast special are delicious. They come with refried beans and breakfast potatoes. Make sure to grab a bag of colourful Mexican bakery treats too. But what really impresses are the colourful decorations. From the minute you step past the red painted door it's a symphony of bright pinks, reds, greens and yellows. 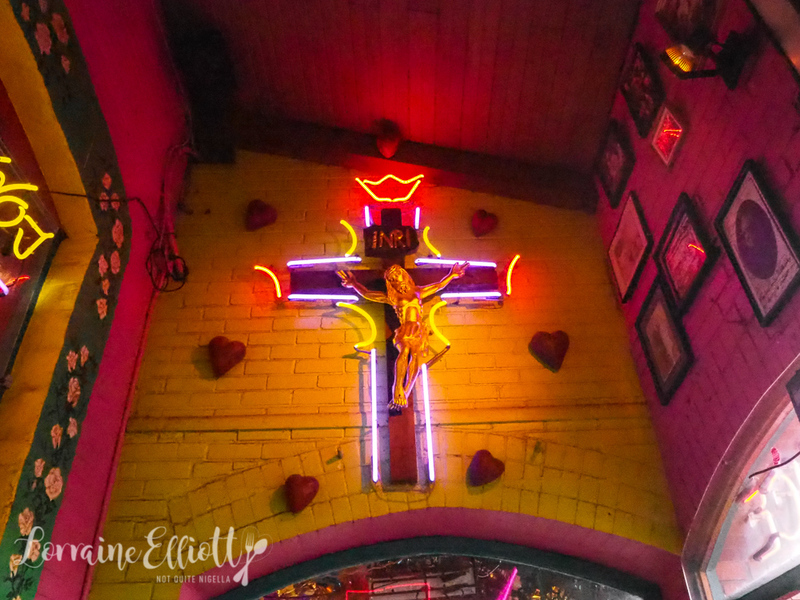 There's a family altar on the left and the doors lead you into sweets and bakery as well as a multitude of lights and piñatas. 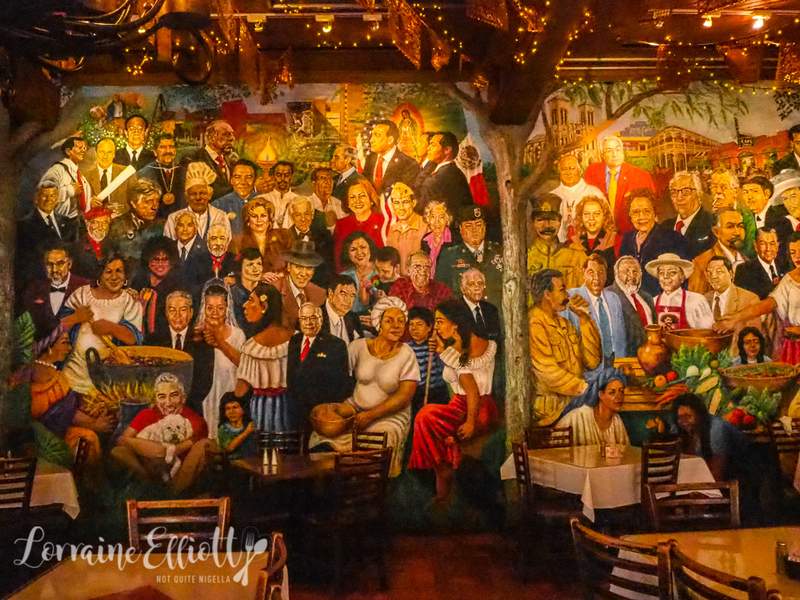 We were lucky enough to be there when Mi Tierra's mural artist Robert Ytuarte was there. He has painted two enormous murals on the wall-the first is titled "the American dream" and details famous Mexicans and Mexican Americans. 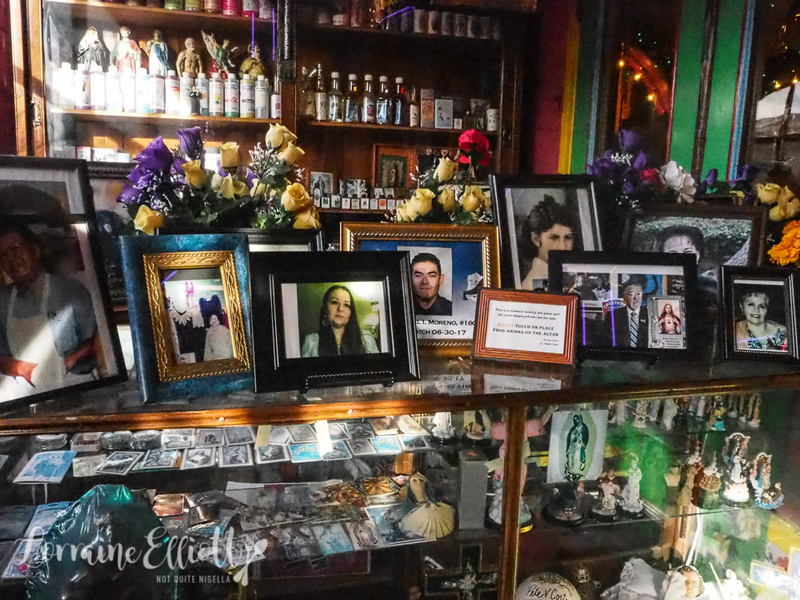 His newest one is on the adjacent wall and also features famous people of Mexican descent and even includes a self portrait. 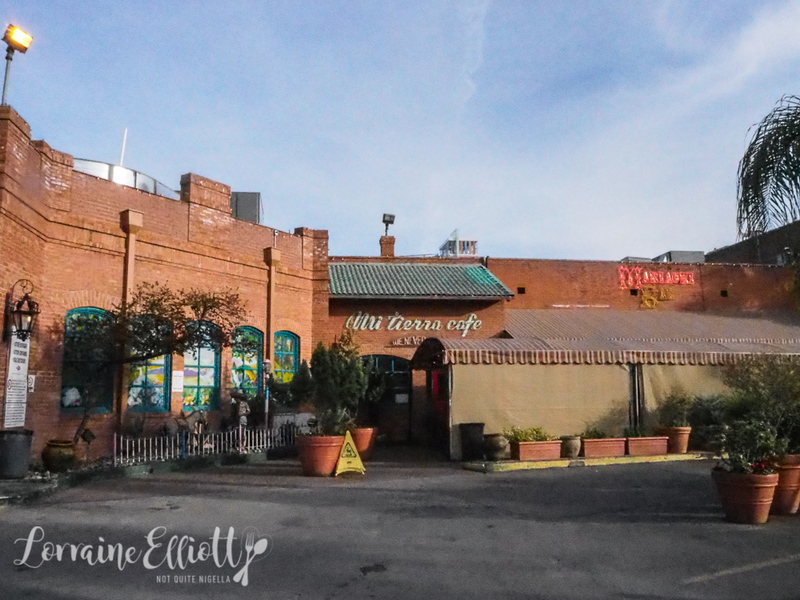 The Cortez family own Ma Tierra and the business started during the Great Depression with Pedro Cortez and his wife Cruz Llanes who had a collection of family recipes and a cafe with just three tables. It has now expanded to a business with 600 partners. And if you're looking for Mexican ingredients or artefacts then Mi Tierra is adjacent to Market Square. There you can pick up trinkets, Mexican vanilla, clothing and cooking utensils. 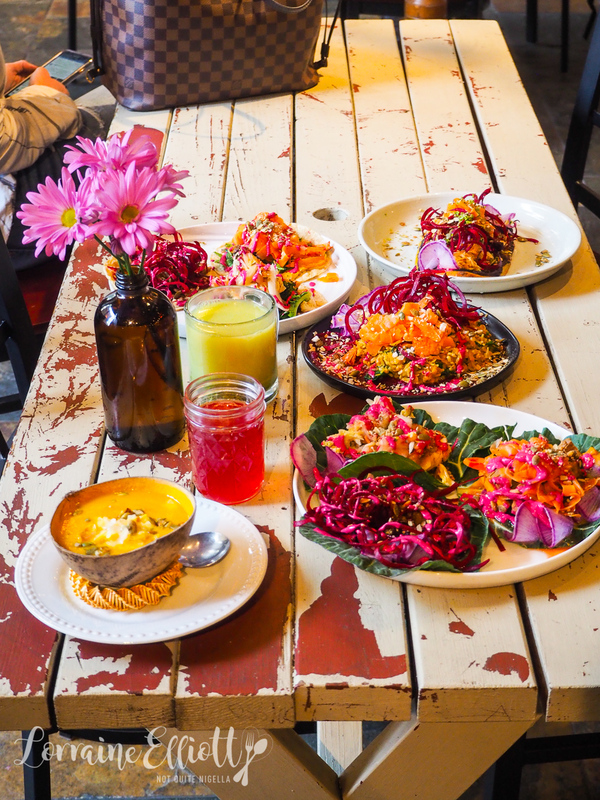 "It would be suicide to open a vegan restaurant without meat - we are in Texas my friend," says Elizabeth Johnson chef and owner at Pharm Table in San Antonio. The last type of cuisine that people would associate with Texas is vegan but at Pharm Table (a clever name based on owner Elizabeth Johnson's idea that food is medicine), that's just what she does although with a Texan twist-the vegan restaurant actually does have the option to add animal protein on the mostly vegan menu (and she tells out that she sells out of the meat every single day). 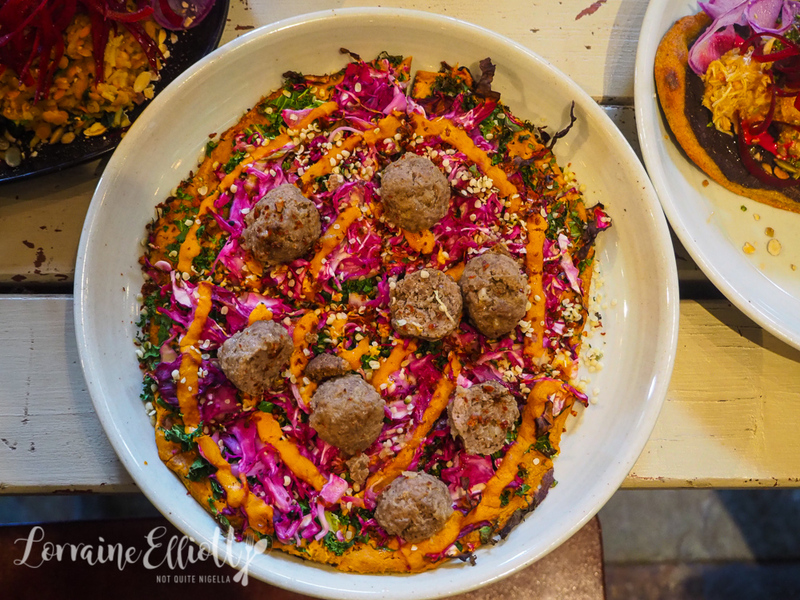 She is both chef and owner at Pharm Table with a menu that offers ayurvedic menu options all beautifully presented and made to satisfy your nutritional needs. Ask Elizabeth and she'll reel off a list of the six Ayurvedic flavours or the benefits of a local reishi mushroom extract. I start my meal with a beet chicha morada, usually a purple corn drink in Peru. Here the purple comes from beets and it is lightly sweetened and delicious. Drinks are all bottomless so you can refill as many times as you want. I'm feeling tired and sick and the best pick me up is healthy food so I try the collard green paleo tacos with ginger pork added to it. Prices are incredibly reasonable and you would easily pay double this in Sydney. They tacos are absolutely delicious and packed with colourful vegetables in a variety of textures that are either pickled, roasted or raw. Elizabeth is careful not to serve too much raw as she explains that only one body type can digest raw food efficiently. The pizza with beef balls is also very good and the pizza base is made with a gluten free quinoa crust. 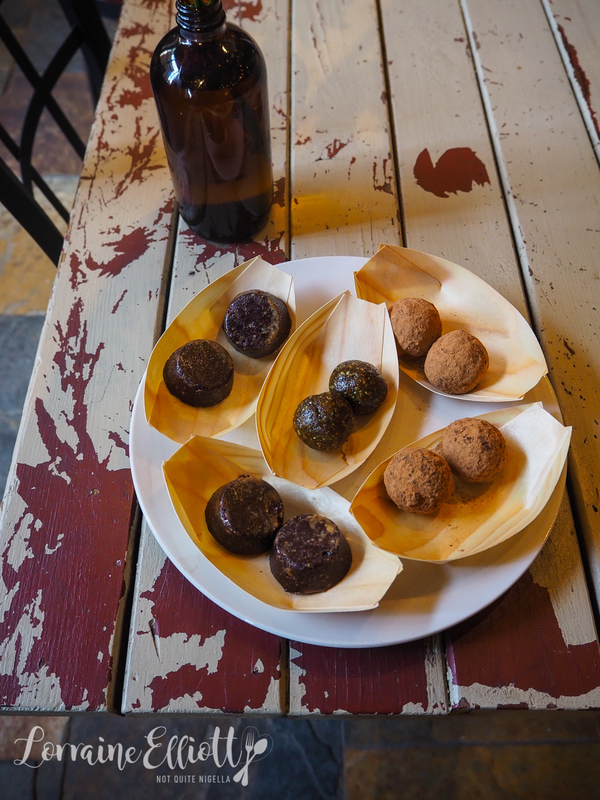 And if you have a sweet tooth, leave room for the truffle balls made with chocolate and spirulina or the turmeric truffles where the turmeric just gives that a lovely amount of spicy tingle ($5 for 2 balls). If you love looking at architecture, you can also do a walking tour with Bill Perryman. One of the most fascinating areas is King William Street in an upmarket yet artistic area of the city. What was formerly farmland transformed into a millionaire's row and with that are some interesting stories of wealthy excess. Three houses in particular belonged with the Steves family who established the area. The main Edward Steves home is where matriarch Johanna would tie a rope around her grandchildren and teach them how to swim in the fountain in front of her home. 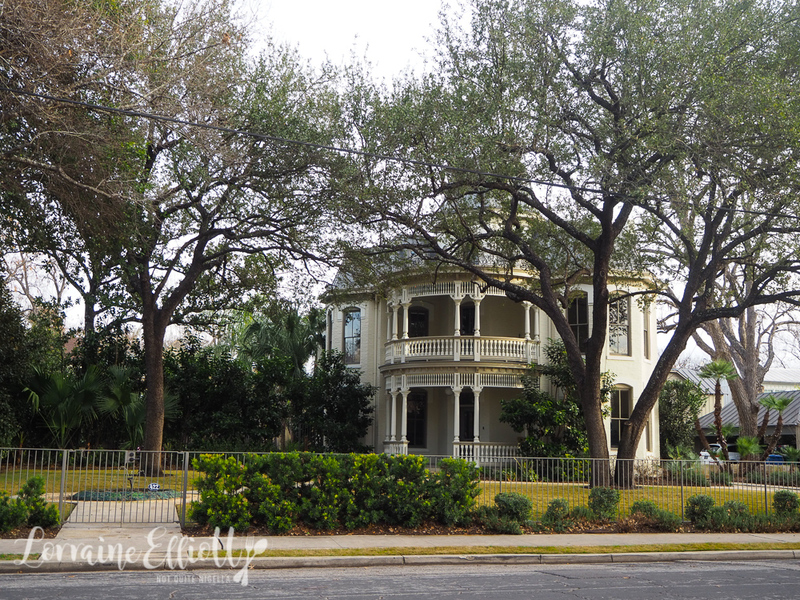 The West home is a Victorian style home related to Ike and Sandra West. He died young, soon after they married leaving his widow a large oil fortune. In her will she requested that she be buried wearing her nightgown in her powder blue Ferrari. Her request was honoured, entire car and all. 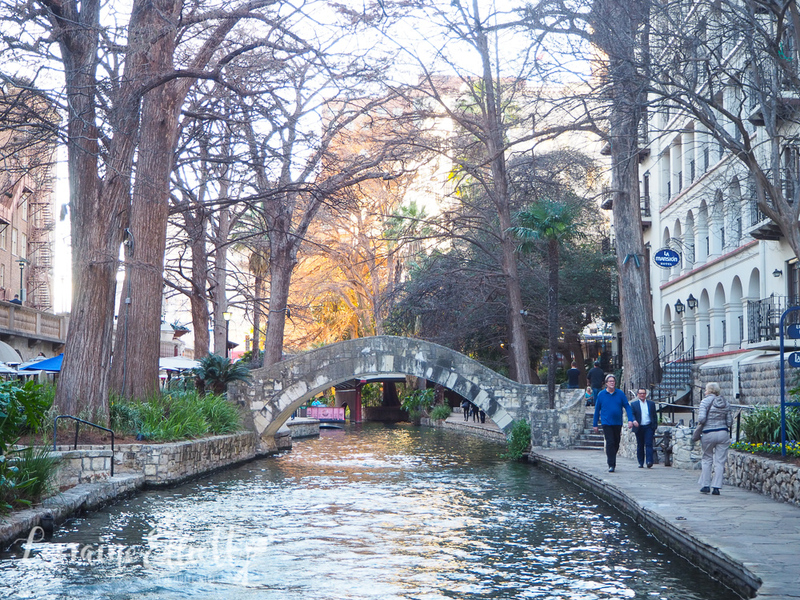 The Riverwalk is one of the prettiest and most popular places to visit especially for tourists. It almost has a Disneyland feel to it especially by boat. We took a boat down the river and our tour guide points out the famous Selena bridge where Jennifer Lopez filmed a scene when she played Selena. He will even show you how to recreate the scene yourself. 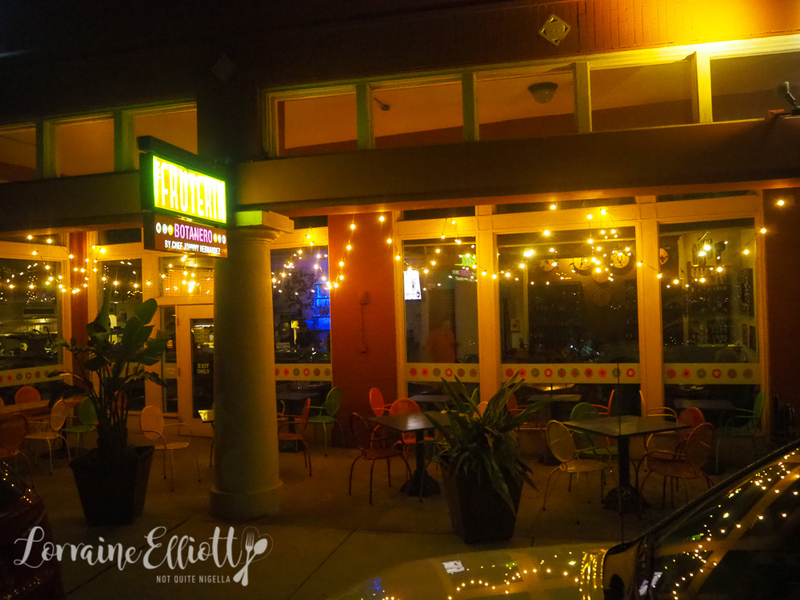 Chef Johnny Hernandez has quite an empire of Mexican restaurants and it was just a few years ago that I visited La Gloria in the Pearl district and enjoyed his food there. 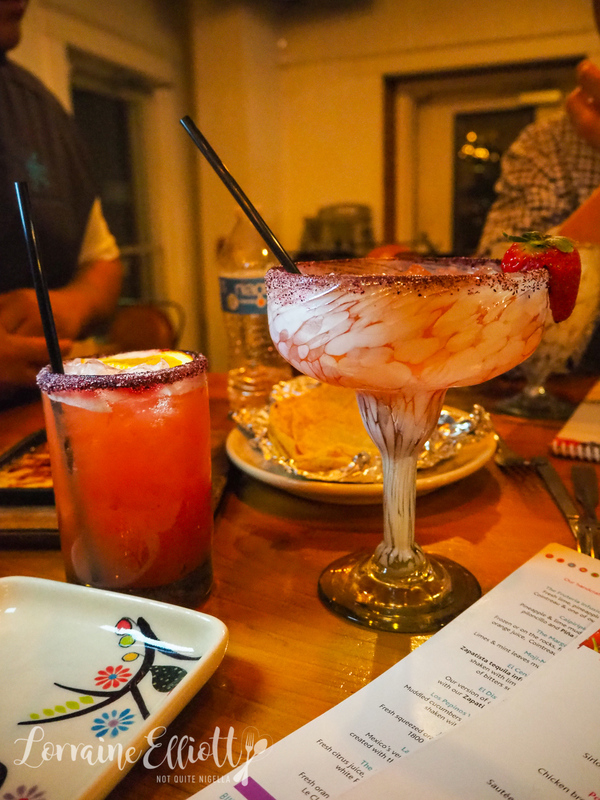 La Fruiteria is a concept in the Southtown area that pairs fruit, tacos and tequila. I'm going to get bossy here but you need to order ALL the cocktails. The strawberry margarita is heavenly with the chilli salt on the ring imparting a beautiful saltiness to counter the sweet margarita. My favourite is probably the cucumber margarita with the chilli salt rim-it has that lovely balance of fresh and spicy. And the six chilli margarita is also worth trying for a tingly hit of heat. And if you love rum, look for cocktails using rum that Johnny imports from Martinique. 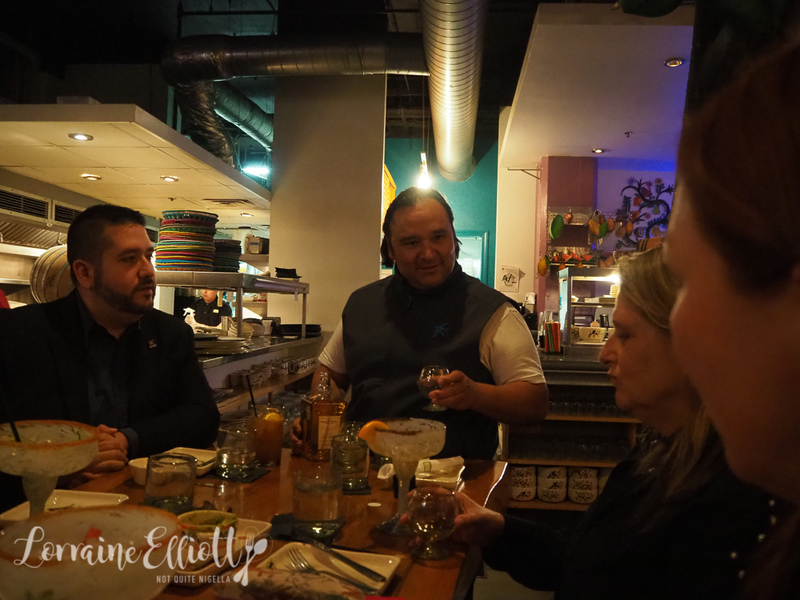 He explains that the best tequila is one made from blue agave and that there is a trend towards ageing tequila in wood using whisky barrels. And for non drinkers, there is also a huge list of non alcoholic drinks too. The corn chips here are not ordinary corn chips. Johnny makes his own corn chips using corn that he has grown especially for him. They're ridiculously tasty (although warning: they may ruin you for all other corn chips!) and are served with guacamole. I wish I could have brought some home. 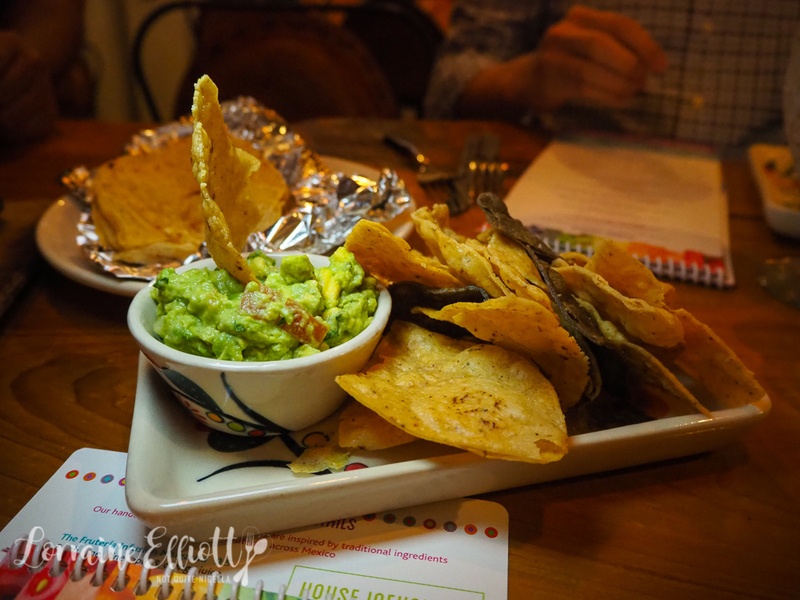 A starter to pair with the guacamole is the melted cheese that comes in a hot cast iron grill. 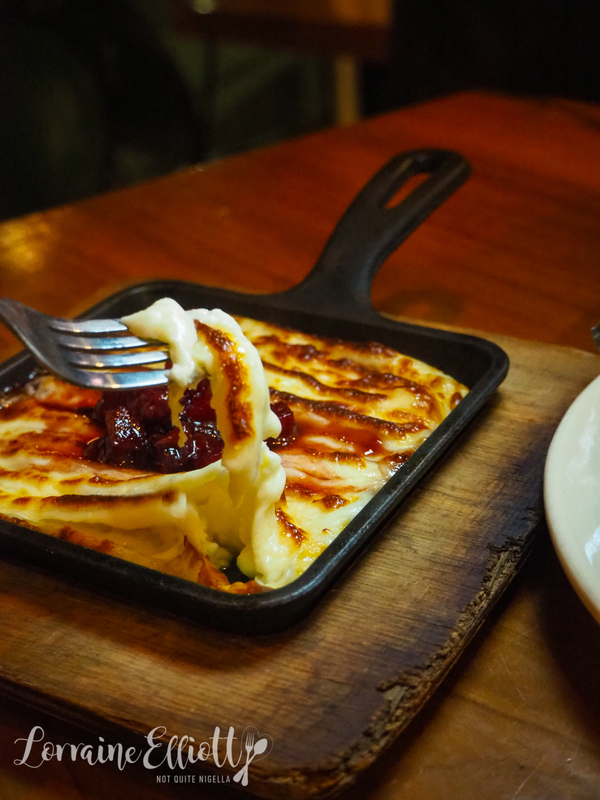 The panela cheese is similar to a saganaki except less salty and it is topped with chile ancho and a sweet tequila fruit compote. And it's probably sacrilegious to suggest this but I loved it with the guacamole on a corn chip for a cold/hot sensation. 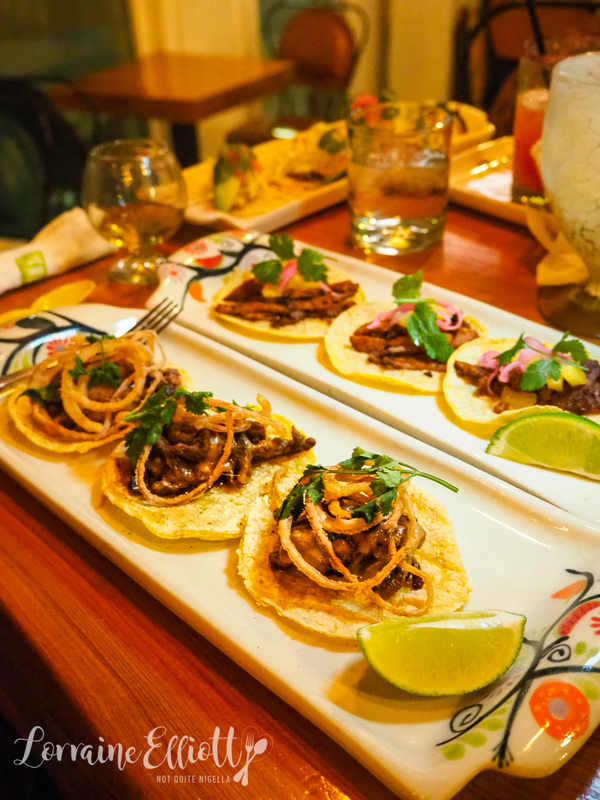 Due to a miscommunication with our stern waiter, we had inadvertently ordered all the tacos (oops!) and so they all came out at once and what's a girl to do but try them all. There is a fish, prawn (shrimp), pork and beef tacos. My favourite is the Asada Con Queso filled with grilled sirloin steak, Oaxaca cheese, crispy fried onions, and cilantro. I also love the Al Pastor taco with marinated pork, pineapple jam, cilantro and pickled red onions. And the prices for these tacos is truly amazing. 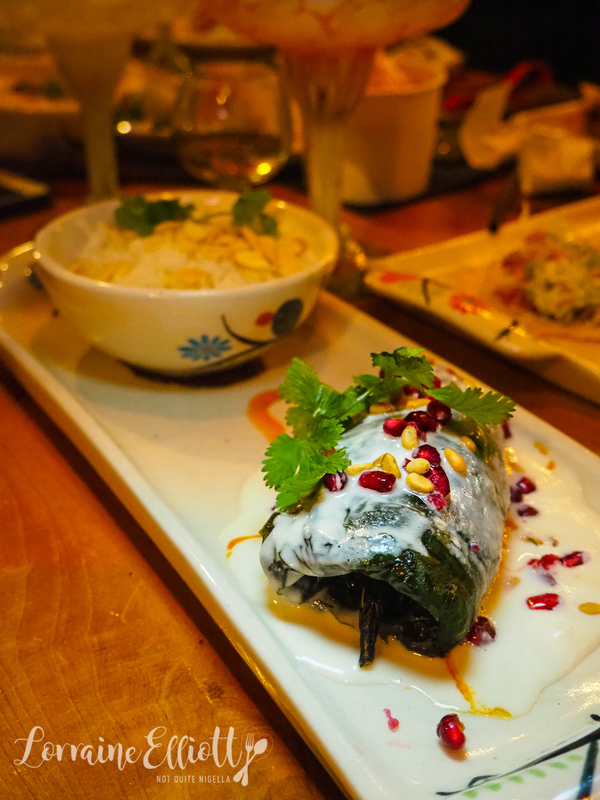 We try Johnny's favourite main: a roasted Poblano, minced beef picadillo, dried fruit, pine nuts with a creamy almond sauce with pomegranates on top. The flavours and textures in this dish are wonderful and I wish we could get similar dishes here in Sydney. The most popular dish is also a stunner. It's Johnny's creation, a take on the traditional mole but this time using white chocolate. 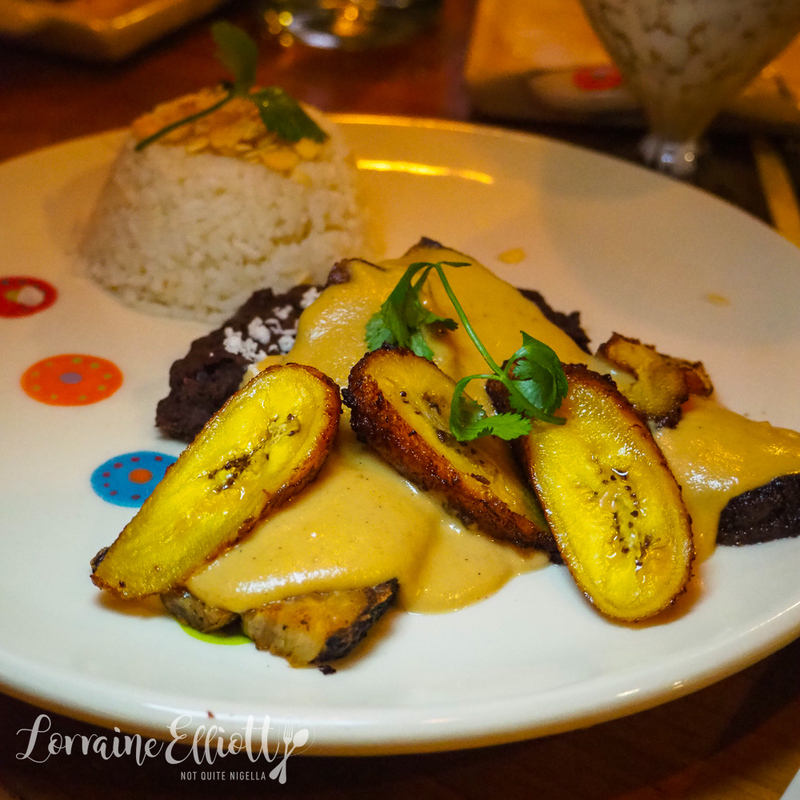 At first if you just try the sauce by itself it seems a bit too sweet but then you try it with the soft, melting pork belly, roasted plantains, chilli, pine nuts, almonds and black beans and it works beautifully. You know what they say, no meal is complete without dessert. 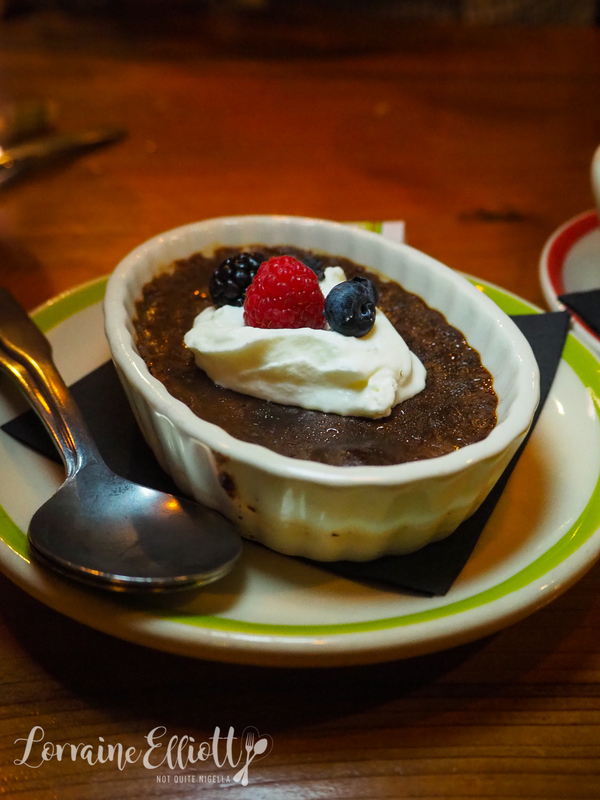 This is a Mexican chocolate baked pudding with coconut crema on top with a touch of cinnamon to lighten it up. 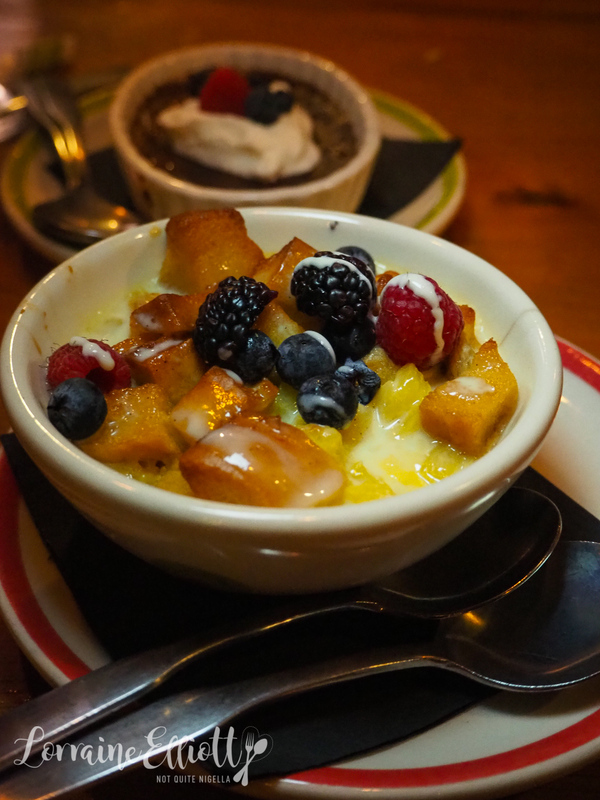 But my favourite is the fruity bread pudding with chunks of pineapple, banana and mango baked in until soft with a vanilla sauce. 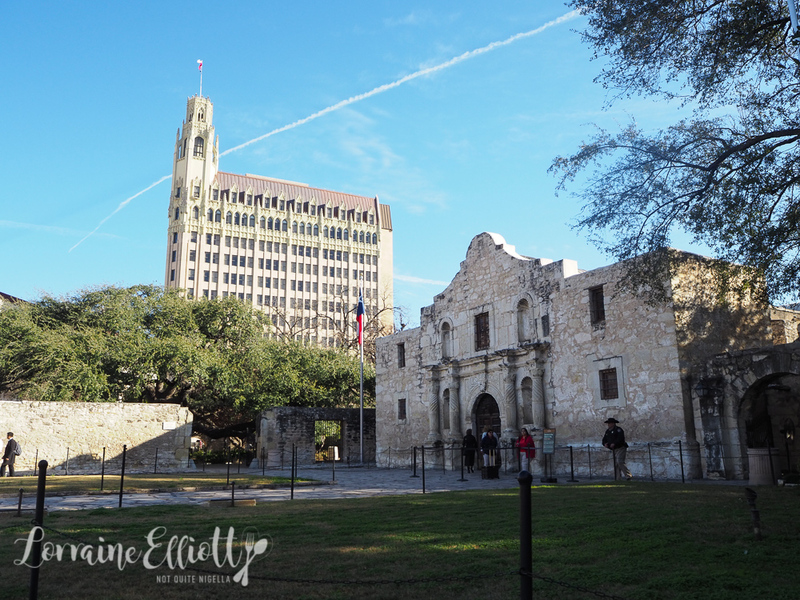 The Alamo is the site of a famous battle that spurred the catch phrase "Remember the Alamo." 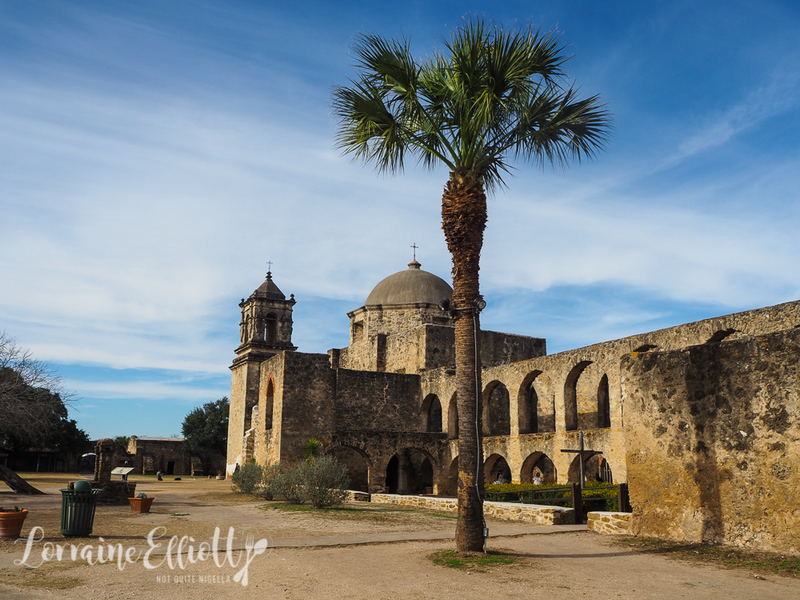 It was originally built as one of the city's 5 Spanish missions. In 1810 the Spanish rebelled and in 1821 Texas became Tejanas, or the republic of Mexico. The Battle of the Alamo which was where Texas fought for independence from Mexico lasted a mere 90 minutes but followed a 13 day siege. Mexican troops under the command of President General Antonio López de Santa Anna defeated the Texan defenders that included people like Davy Crockett, William B. Travis and James Bowie. You can do a tour of the Alamo although to be honest, our tour guide was possibly one of the strangest and most boring guides I've ever had so I can't recommend the experience. You also can't take any photos at the Alamo. 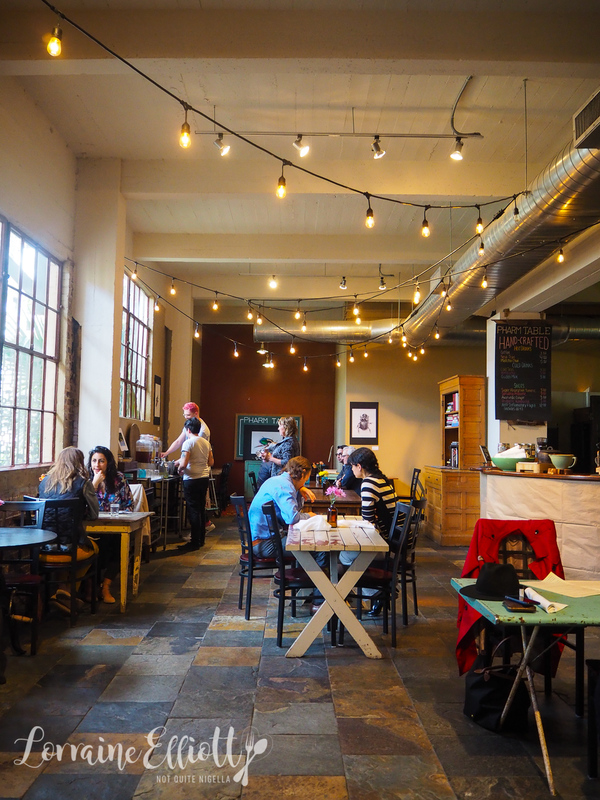 I first visited the Pearl District a few years ago and it has certainly fleshed out with more offerings between then and now. 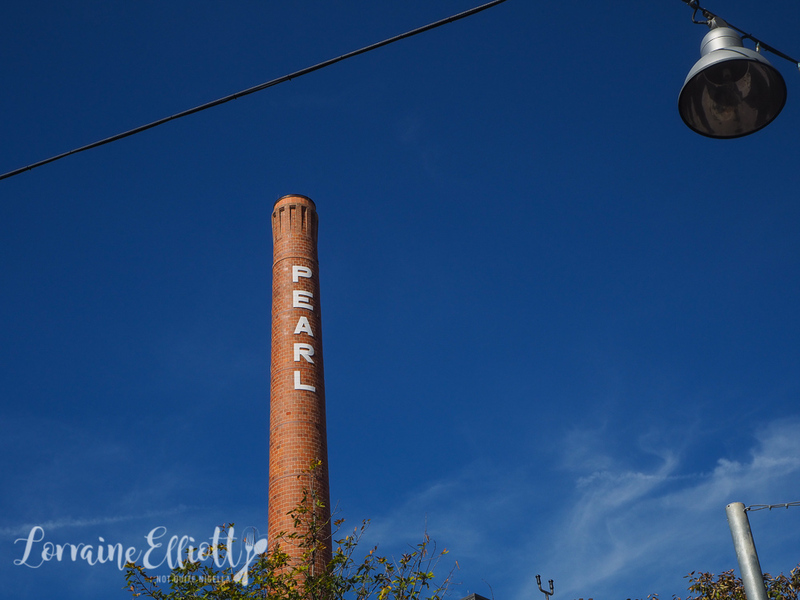 The enormous Pearl Brewery complex has numerous hand picked food outlets with a food hall to come soon. 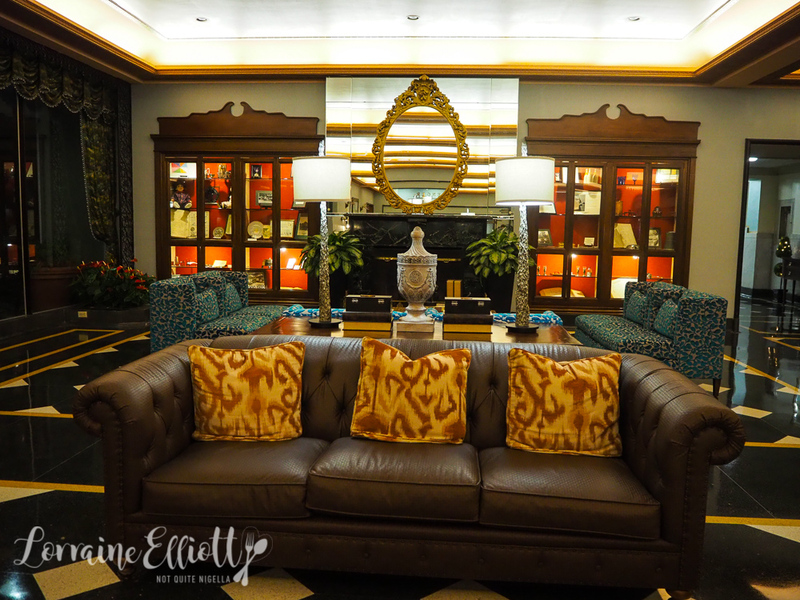 More on our visit to the Pearl to come in a separate post. 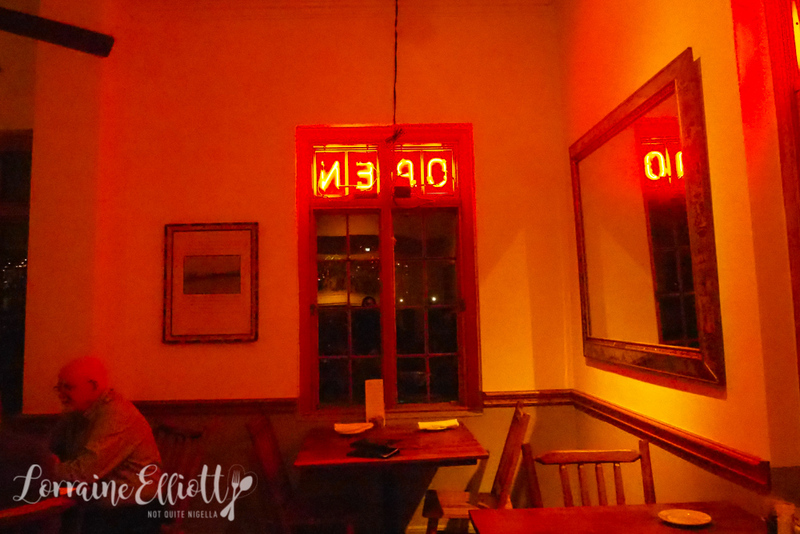 If you're looking for an eclectic neighbourhood restaurant then Liberty Bar on Alamo Street has a casual, friendly ambiance. 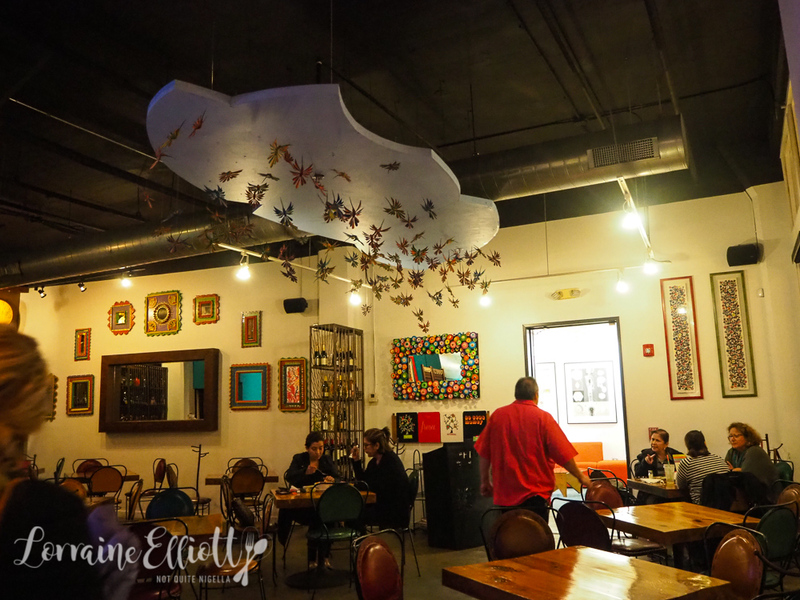 The food is a mixture of fare like a pot roast bowl, wild boar sausage and house made fettucine and there are also Mexican American dishes on offer too. They also offer three types of house baked bread to all guests. There is one must order at Liberty Bar though. 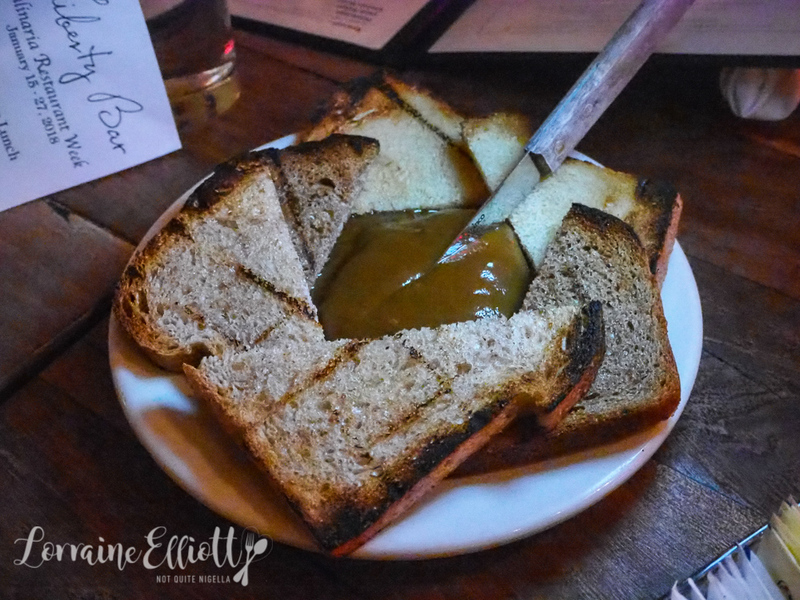 It's the goats cheese starter served with toast points and topped with garlic, chile morita and piloncillo sugar sauce. At first you might think that it's possibly too sweet with that luxurious blanket of caramel but looks are deceiving. It's just the right amount of soft and perfectly spreadable caramel goats cheese. 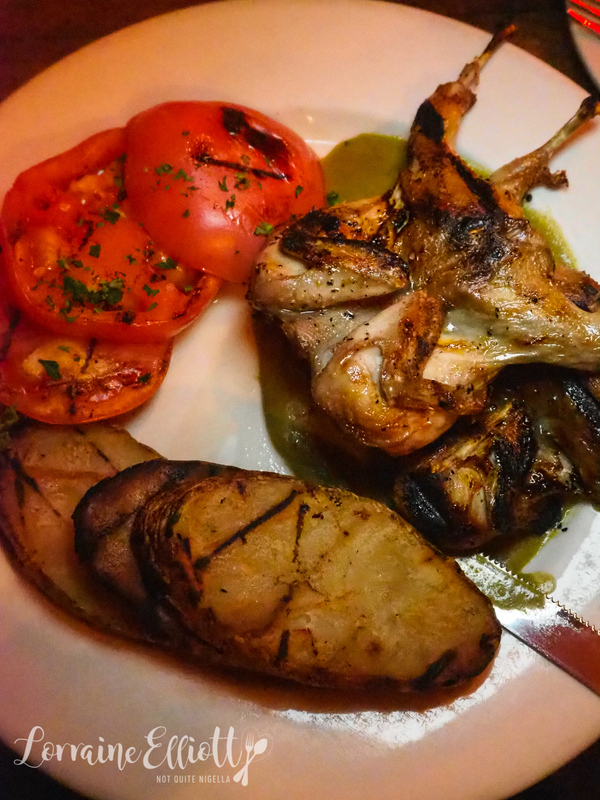 My quail with green mole needs a touch of seasoning but is otherwise very succulent and tasty. It comes with three thick tomato slices and three equally fat potato slices as well as refried beans. Another stand out is the Puntas Nortenos which is sauteed beef tenderloin strips with tomato, bacon, garlic, onion, serrano pepper and topped with Gruyere cheese. 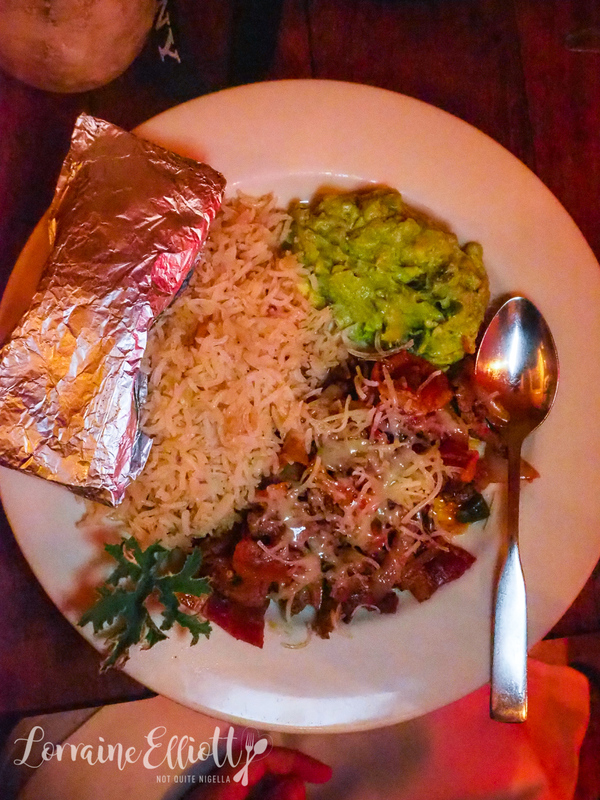 It is served with rice, guacapoblano and corn tortillas. 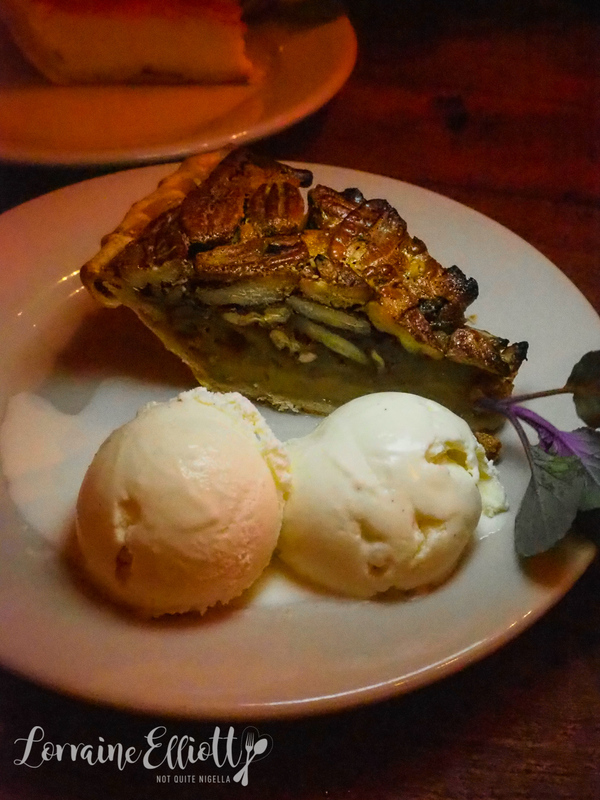 Desserts are a heady mix of Americana-there's pies galore with pecan, buttermilk lime chess, bread and butter puddings and coconut custard. The latter is a soft pudding with plenty of coconut laced through it and coconut cream on top. 9:30pm Watch The Saga at the Main Plaza. The Saga is a video projection that details the history of San Antonio at Main Plaza. I'll be honest, I found it difficult to follow without knowing some of the story but it does draw a crowd. 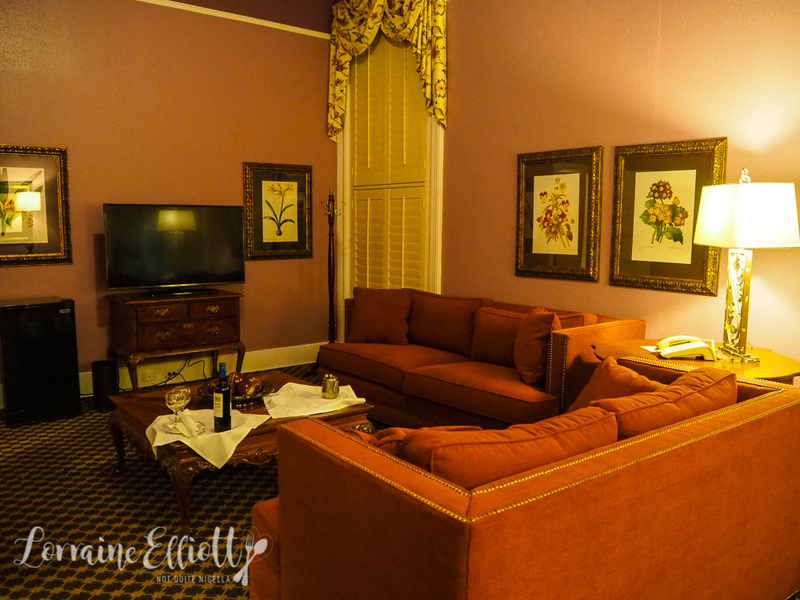 The Menger hotel is a historical hotel located right next to the Alamo. It's a unique hotel with each room being quite different from each other. The suite I am staying in is spacious but the hotel does have its quirks that I found a bit challenging. But if you're a history buff and charmed by unique hotels then you may love this. They have a two pipe system for air conditioning which means that during the day they only run cold air and after 10pm at night they only run heat which is not ideal for a control freak that hates the cold like me. When we arrived mid winter they were only running cold air which seemed a bit odd to me as I was freezing cold. They also don't have space heaters which meant that I had to wait until midnight until my room was warm. 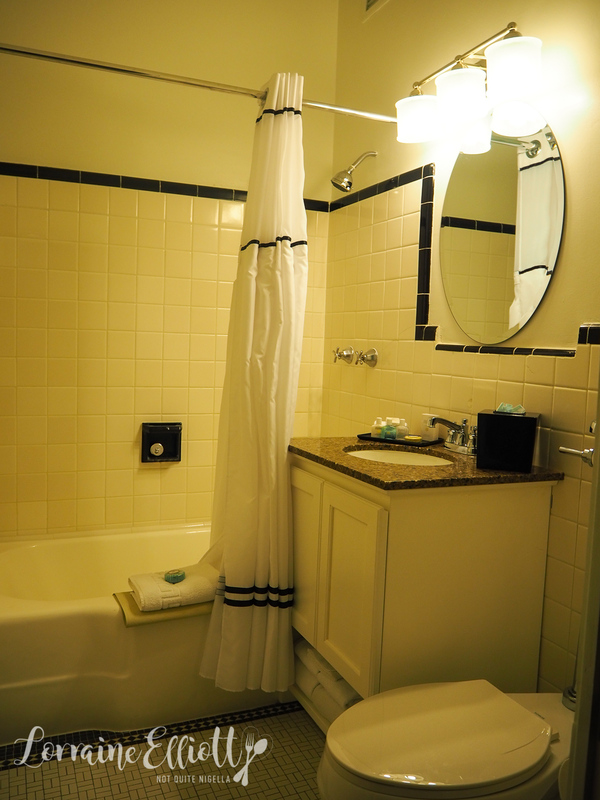 The bathrooms are small and the shower water temperature was haphazard going from freezing to very hot in the space of seconds. It was those two things that challenged me the most especially as all I wanted was a hot shower. However the bed is extremely comfortable and I had a great night's sleep and it is nice and quiet. Another thing to note also is that it is said to be the third most haunted hotel in America! 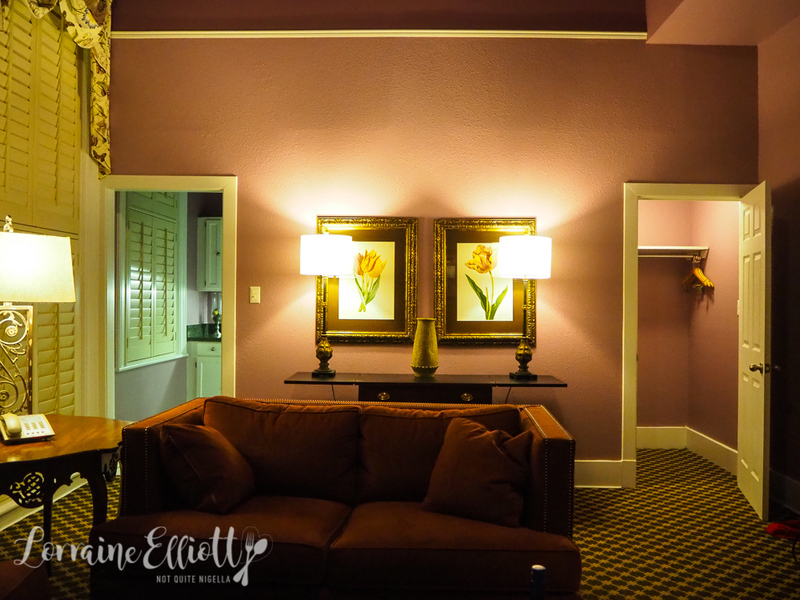 So tell me Dear Reader, would you find this hotel challenging or charming? 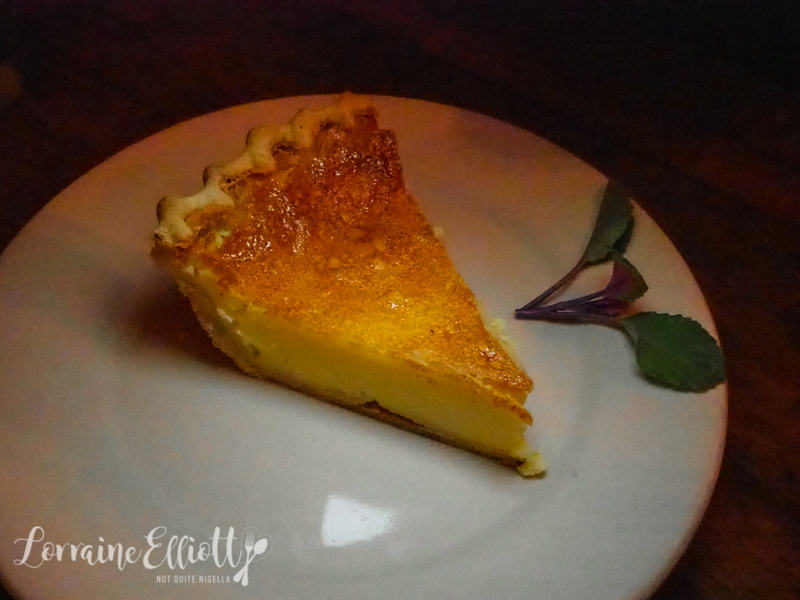 And what did you think of the food in this post? Which place appealed to you the most?